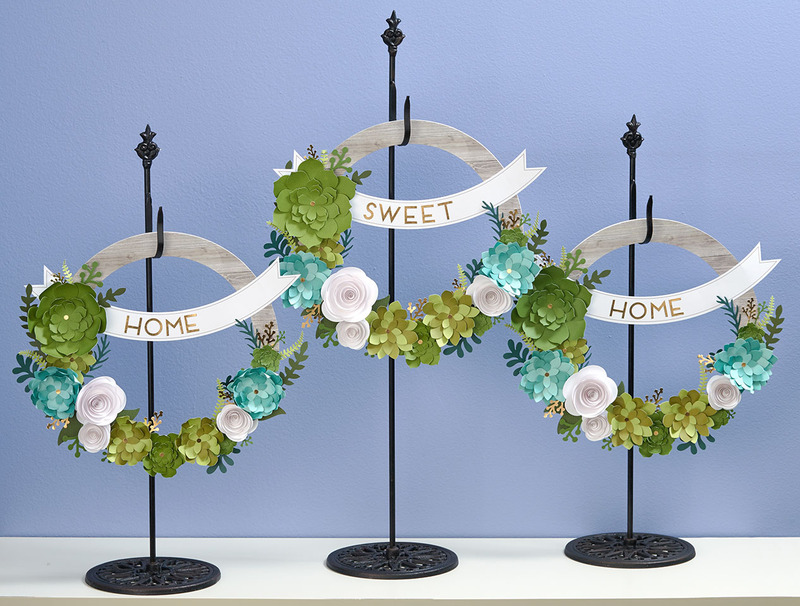 There are only 6 more days to purchase our Welcome Home wreath kit, which includes pre-cut pieces and instructions to create a beautiful paper succulent wreath. The great thing about this paper wreath, apart from being super affordable, is that it can work in your home all year round! Usually store-bought wreaths are season-specific, but this one adds beauty to any part of your home any time of year. Today we want to share with you three unique ideas for decorating your home with this homemade wreath. Choose your favorite, or try them all throughout the year! If you love shabby chic, try hanging this wreath on a rustic window frame. You can place this window frame on an entry table or mantle and lean it against the wall, or you can just hang it up on any wall. Hang the wreath with some vintage-looking ribbons, like those in our Rustic Home ribbon pack, and you’ve got the perfect country look. If you love those wooden plaques that say things like “home sweet home” or “live laugh love,” try adding these sayings to wreaths instead. Hang them on wreath hooks, vintage knobs, coat hooks, or just straight on the wall in a row. Hang a wreath above each kid’s school picture with his or her name. 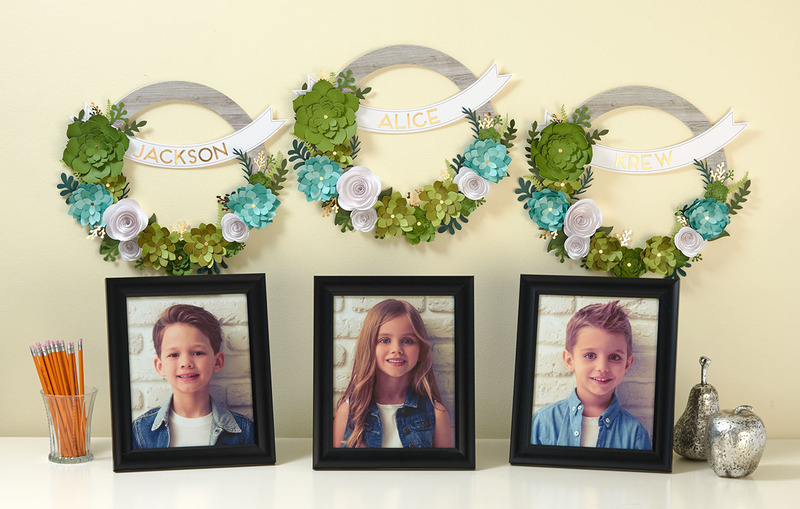 It’s a great way to personalize the standard school picture gallery in your home, and because these wreaths are so affordable, it’s totally reasonable to get one for each kid! Which idea is your favorite? Tell us in the comments below! 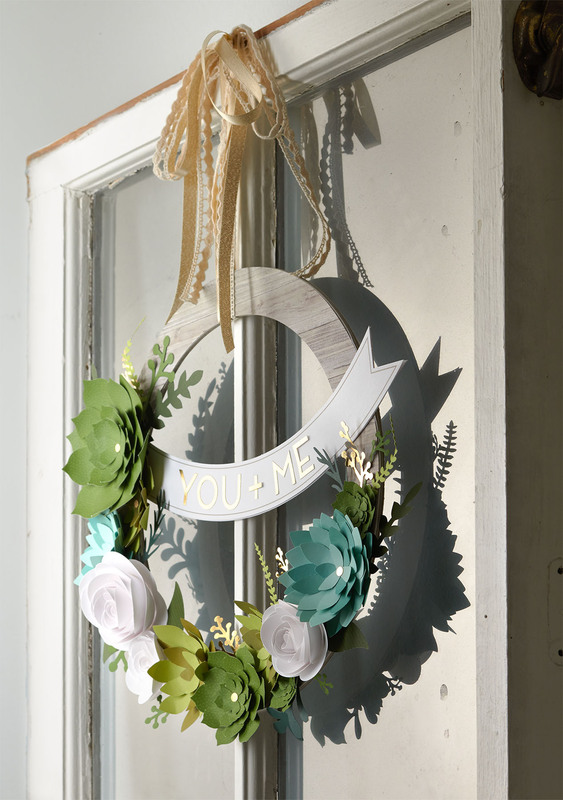 I love the wreath with the old window frame…gorgeous! I like the shabby chic idea with the used window. I love all three, but my favourite is No. 3. I have four children so having a wreath for each one above their photos will make them FEEL extra special!